My brows are probably the thing I change about my face the most. As someone with sparse brows, I manage to experiment with the shape of my brows almost weekly, without looking like a fool or removing any hair at all (more on that later). I am partial to skinny brow pencils; I find them to be more precise than other brow products out there and makes clean-up effortless. It takes me a lot less time to shape and fill my brows with these pencils as well. 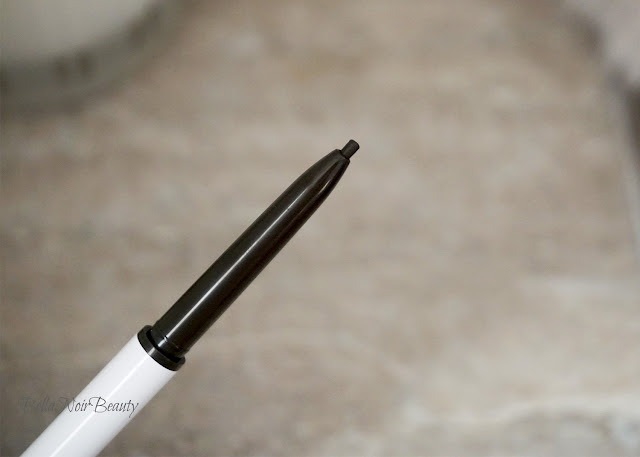 ColourPop released a new skinny brow pencil, Brow Boss ($5.00), which I purchased in the shade soft black. I have oily skin. 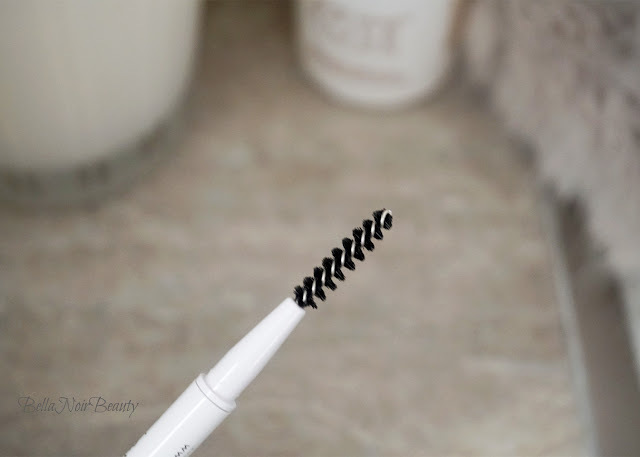 After I cleanse in the morning, I always go over my brows with a dry cotton pad to remove excess oil before I start the brow process. From the brand: Buildable colour in a mistake-proof pencil ..that’s all you need for perfectly feathered brows. Recommend for Black hair. I fill my brows in the same way, regardless of whatever product I am using. 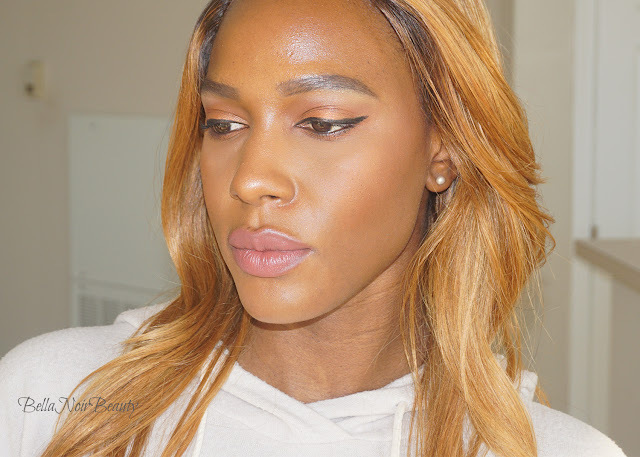 I start with an outline of my natural brow (or whatever shape I am going for) and then fill in with light strokes. I have been using this pencil since mid November and I am suspicious that the pencil is going to run out soon. As great as the pencils are, a drawback is that because they require so many strokes to get a natural look for me, it runs out quickly. I love how natural it looks! Soft black is the perfect shade for me, no matter what color hair I have going on. It can take some time to build the color up and it's not the most pleasant feeling going over the same spot on your face over and over again. I do wish these were a tad bit more creamy. 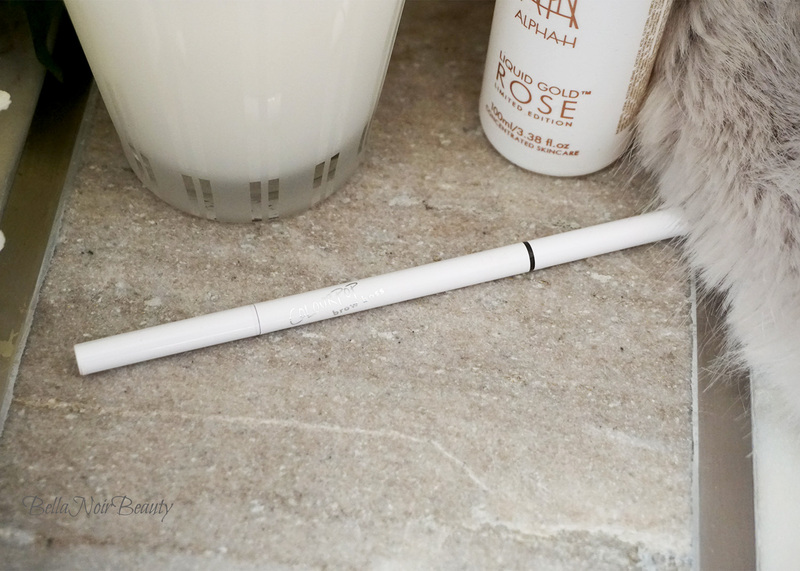 I previously reviewed their Precision brow pencil, which I found too creamy. We need a sweet spot in between! Another result of that is that the pencil pigment isn't fond of oil; I have to make sure there isn't any product on my brows before I use this or make sure that it's very dry. I've resorted to changing my makeup routine when I use this pencil to doing my brows after I apply foundation and powder to sop up the oil. Another thing that was problematic about the pencil is that it's incredibly flimsy. I have to make sure my hands are super dry before I attempt to remove the caps from this pencil. They get stuck on there so hard, I need to often use a towel to remove the cap. It got so frustrating for me, I ended up not capping the spoolie end because removing it became too much of a bother (also the spoolie is just as bad as the spoolie on the other ColourPop brow Pencil for sparse brows so I don't use it anyway). Same goes for the other end, but I keep it capped anyway for obvious reasons. While uncapping, I often end up taking the whole pencil apart (the part that's not supposed to come apart!). Love the outcome but trying to open it drives me nuts!